The Nexus 7 2013 is awesome in just about every way, building on the strengths of the original to become an easy choice for the best 7" Android tablet on the market at the moment. But there's at least one company that isn't altogether happy with it: NVIDIA. Their Tegra 3 chip powered the first Nexus 7, but Google switched to Qualcomm for the new version... a decision which hasn't come without problems of its own. 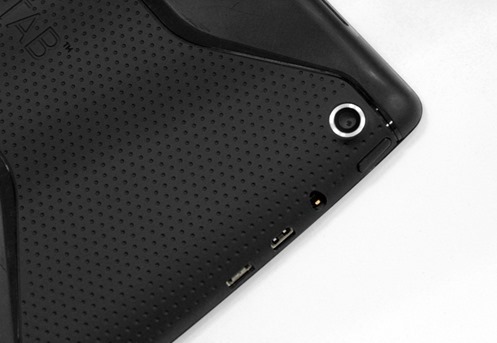 In any case, new leaked photos show that NVIDIA may intend to strike out with a self-branded 7-inch tablet. The Verge speculates that Chinese manufacturer Shenzhen Homecare Technology is a pretty good bet for a possible manufacturing partner. The firm recently stated that it was building a "Tegra 4 tablet with a stylus," and meetings with NVIDIA executives have been posted to the company's website. One photo shows an NVIDIA executive with a whiteboard including the words "Nexus 7," but that doesn't mean a whole lot on its own. More telling is the fact that NVIDIA has registered a trademark for "Tegra Tab" with the USPTO. Of course, this could all be so much chasing after the wind. The photos are indeed convincing, but even assuming that they're real, the Tegra Tab could be an internal developer-focused project or even a Windows RT device. (Yesterday NVIDIA stated that they'd be supplying the internals for Microsoft's second Surface Windows RT tablet.) And though NVIDIA has shown a willingness to enter the consumer hardware world with the SHIELD gaming device, a conventional tablet running either OS would directly compete with some of the company's OEM partners. ASUS, Toshiba, HP, and others have already announced Tegra 4-based tablets. NVIDIA has declined to comment on the photos, surprising no one.